@megtangjewelry pop up at @factorycoffee today 1-5pm happening now! 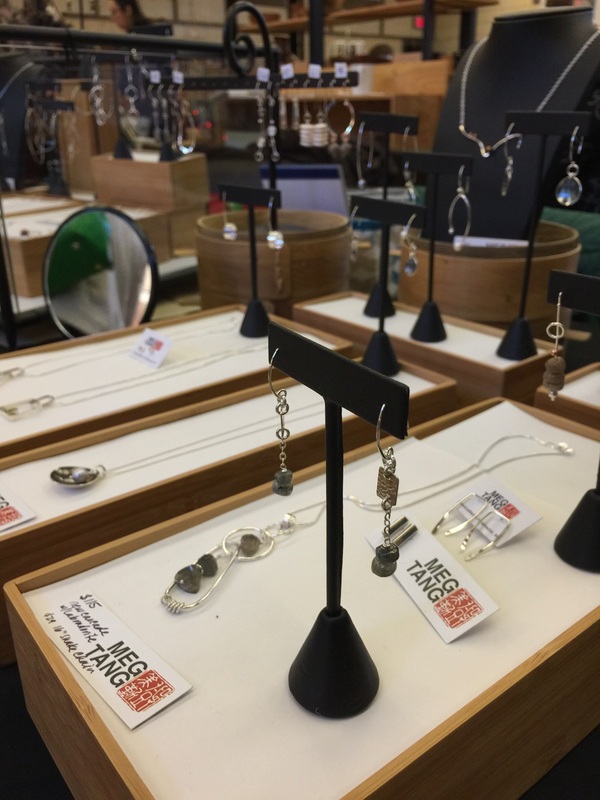 TheBuy Local Art and Gift Fair is happening now! Beautiful artwork, beautiful setting. So happy to be here! 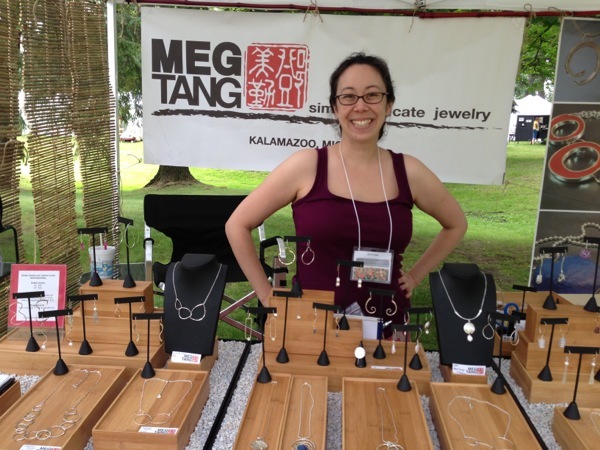 This Saturday at the Kalamazoo Nature Center is the Buy Local Art and Gift Fair. Free to the public, stop by and say hi! Saturday, November 17, I’ll be at The People’s Church Holiday Bazaar, stop by and say hi! April 1, 2016 by Jaakan Page-Wood. I'm out at the People's Church Fine Art Sale & Holiday Bazaar this morning. The sale goes until 3 this afternoon. I've already gone around the booths this morning and picked up gifts for several people on my list!! This year they are featuring original pastels by Melody Allen. 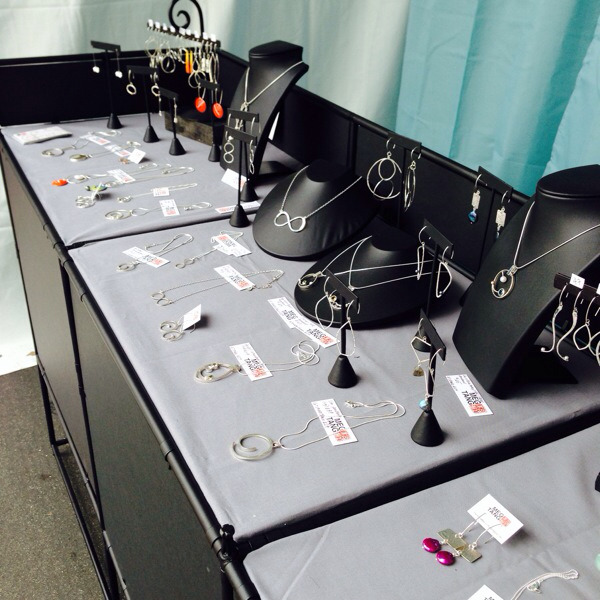 Posted in Art Fair, jewelry and tagged with jewelry. November 22, 2014 by Meg Tang. I had to get up extra early to get to the Saugatuck Waterfront Invitational Art Fair this morning! The up side was I got to see the sunrise, and watch the fog burn off. It was so Beautiful! I'm in Cook Park, right on the water and it smells like kettle corn everywhere! July 5, 2014 by Jaakan Page-Wood. As If the weather and all of the other artists weren't enough to make this the greatest day, the Gilmore car museum brought a Delorean to the park!!! "The way I see it, if you're gonna build a time machine into a car, why not do it with some style?" June 7, 2014 by Jaakan Page-Wood. Last night was busy and beautiful! Today is just the same. I've seen so many familiar faces so far. It's so much fun to see downtown packed with people! 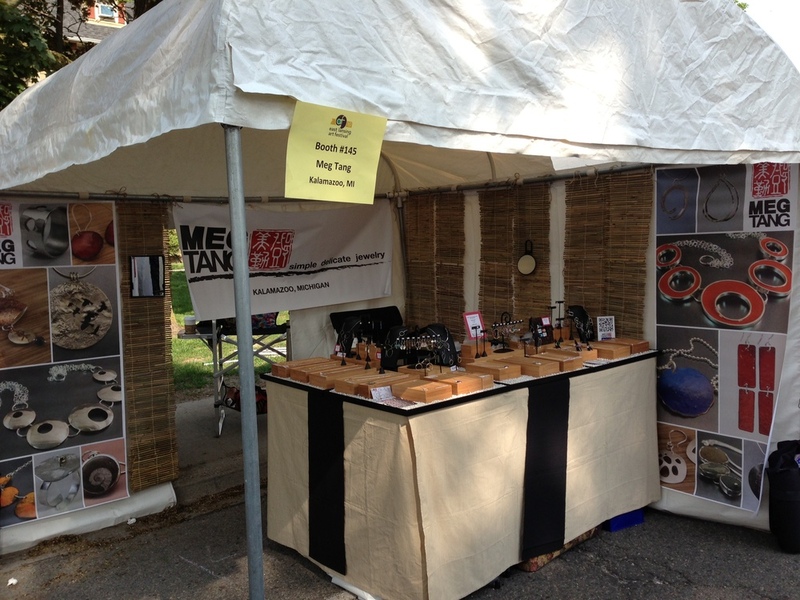 This weekend is the Kalamazoo Institute of Arts Fair in Bronson Park which means summer has begun! Come by with your friends and family to my booth, B1, this Friday from 3-8pm and Saturday from 9-5pm. It always means so much to me to be able to showcase my work in the place where I live. You'll see brand new designs and a new booth setup. The weather is supposed to be beautiful! Posted in Art Fair, jewelry and tagged with jewelry, KIA. June 5, 2014 by Meg Tang. I'm out again at the Mission Federal Art Walk in San Diego from 11 to 6 today in Little Italy. Yesterday was a little chilly, though not by Michigan Standards. Today should be sunshine and and gentle breeze. Palm trees and ocean breezes are the perfect way to start the 2014 show season after such a long brutal winter! Booth 568! April 27, 2014 by Jaakan Page-Wood. 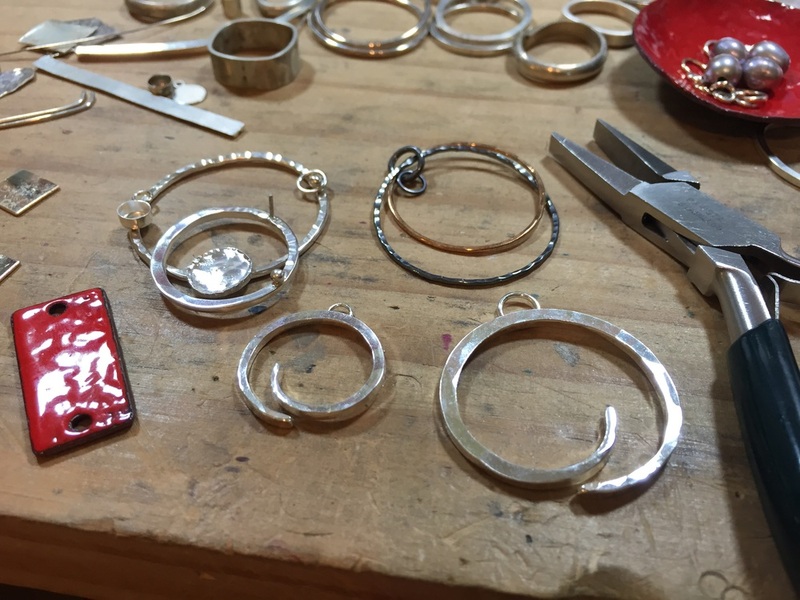 Fall is shaping up to be another beautiful season and I am excited to share with you the news about my trunk show this Friday the 18th and Saturday the 19th at the Kalamazoo Institute of Arts Gallery Shop. I have been busy at the bench over the past several weeks creating new work specifically for this event. If you haven't been to the Gallery Shop before this would be a great time to stop by and say hello, as well as see all of the unique gift items they have. I will be there on Friday for a meet the artist event showcasing all of these new pieces and I hope to see many of you there! Posted in jewelry and tagged with Trunk Show, KIA. October 16, 2013 by Jaakan Page-Wood. I had so much fun in San Diego it was hard to leave but I have to get back in the studio to get ready for the East Lansing Art Fair in a few weeks. In fact, I can't wait to get started on some of the ideas I sketched out while I was in San Diego. There were so many beautiful places to visit after I was done at the Art Walk. Yesterday morning I went down to Pacific Beach and walked in the surf and picked up a few nice pieces of beach glass before the flight home. I absolutely love the ocean and it was a great way to end a great trip. Everyone was so friendly and inviting I am really looking forward to next year! May 2, 2013 by Meg Tang. My jewelry safely made the trip through the x-ray machine and I spent the day getting settled in for this weekend in San Diego. The art fair is taking over Little Italy downtown. Every little restaurant smells amazing and there are lots of cute shops! I will be right across from a park and the weather looks good. Can't wait! 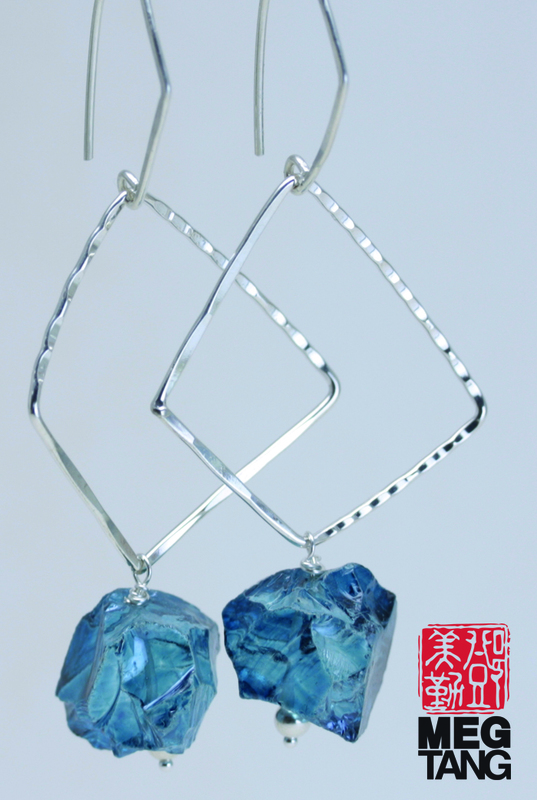 Posted in Art Fair, jewelry. April 25, 2013 by Meg Tang. Here are a few new pieces I made to take out to San Diego! April 23, 2013 by Meg Tang. 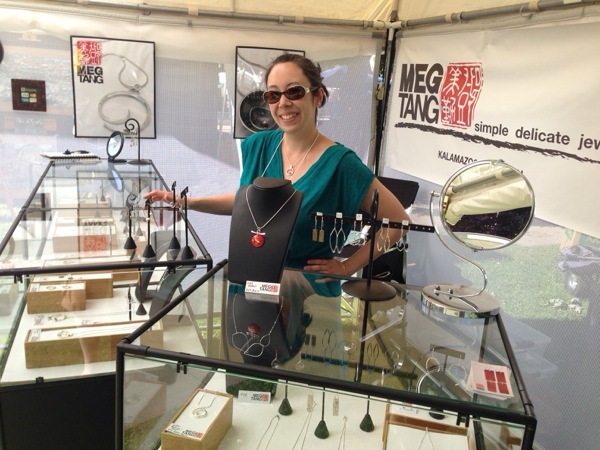 Jewelry by Meg Tang is headed West! In just one week, I will be flying out to take part in the 2013 Mission Federal Art Walk in San Diego. This is my first time at this fair and it looks like it is going to be amazing. Check out my page on their site, they provide one for each artist! April 17, 2013 by Meg Tang. 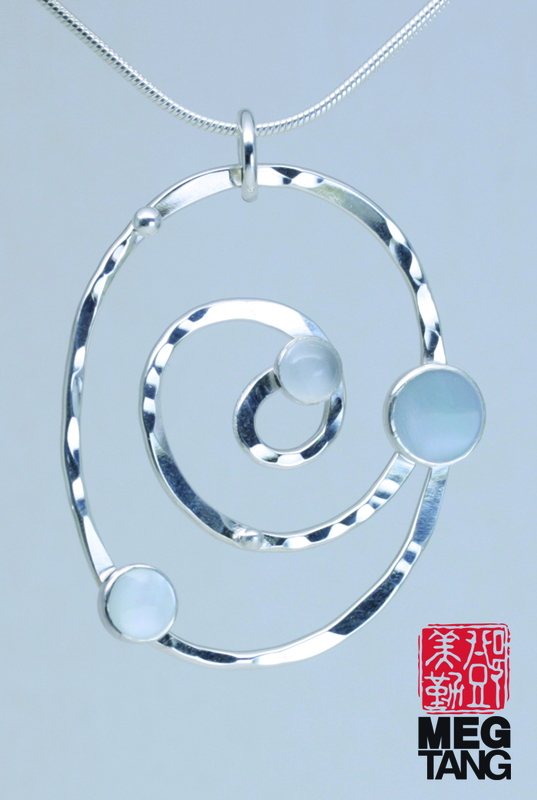 Jewelry by Meg Tang is celebrating 10 years in 2013 and we are excited to bring a whole new look and feel to megtang.com. We have a few more surprises planned for the upcoming year so stay tuned and thanks to everyone for an amazing first decade! 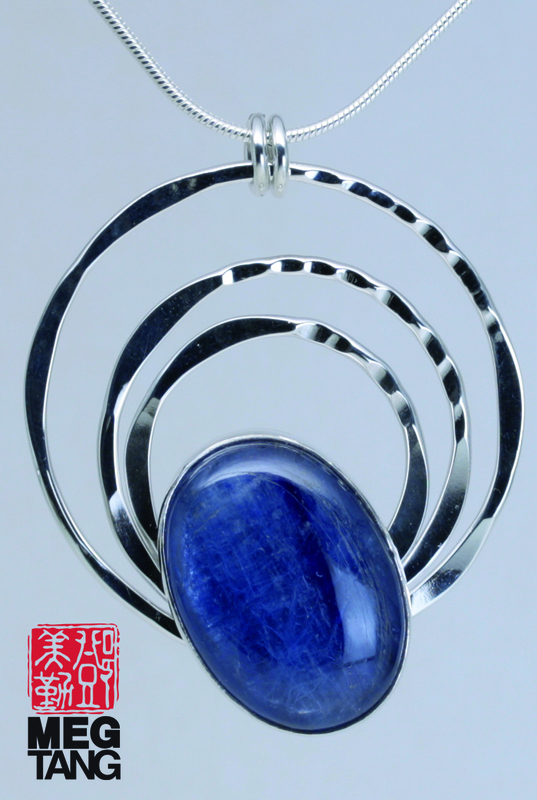 Posted in jewelry and tagged with news.